Elaine Wethington is Professor Emeritus of Human Development. 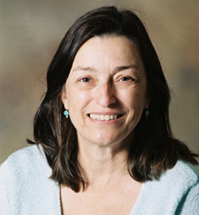 She is also adjunct Research Professor at the Survey Research Center, University of Michigan.Since 2003 she has been Co-Director and Director of the Pilot Study Core for the Cornell Edward R. Roybal Center for the Translation of the Behavioral and Social Sciences of Aging, the Translational Research Institute on Pain in Later Life. Her current research focuses on developing efficient measures of toxic stress in families, relationship transitions, and exposure to major and minor stressors that can be used in longitudinal studies of the population in surveys, randomized controlled trials with frequent follow-up, and on smartphones. I collaborate with colleagues at Weill Cornell Medical College and the Bronfenbrenner Center for Translational Research to develop projects that improve the experience and treatment of pain among older adults. My research has been funded by the National Institute on Aging and the National Heart Lung and Blood Institute of NIH, Smith-Lever, and the Cornell Institute for the Social Sciences. Wethington, Elaine and Rachel Dunifon. 2012. Research for the Public Good: Applying the Methods of Translational Research to Improve Human Health and Well Being. Washington, DC: American Psychological Association. Wethington, Elaine, Christopher Eccleston, Geri Gay, Rachael Gooberman-Hill, Patricia Schofield, Liz Bacon, Wen Dombrowski, Robert Jamison, Max Rothman, Lauren Meador, Cara Kenien, Karl Pillemer, Corinna Loeckenhoff, and M. Carrington Reid. Forthcoming. “Establishing a Research Agenda on Mobile Health Technologies and Later-Life Pain Using an Evidence-Based Consensus Conference Approach.” Journal of Pain. Online first, July 5, 2018. PMC Journal – in process. Agrawal, Tara, Tracy J. Farrell, Elaine Wethington, and Carol M. Devine. Forthcoming, 2018. “Doing Our Best to Keep a Routine: Examining How Low-Income Mothers Manage Child Feeding With Unpredictable Work and Family Schedules.” Appetite 120C:57-66. Doi:10.1016/j.appet.2017.08.10. Online first, August 31, 2017. Yeary, Karen Hye-cheon Kim, Jeffery Sobal, and Elaine Wethington. 2017. “Religion and Body Weight: A Review of Quantitative Studies.” Obesity Reviews. On-line first, July 27, 2017. Ong, Anthony, Bert Uchino, and Elaine Wethington. 2016. “Loneliness and Health in Older Adults: A Review and Synthesis.” Gerontology 62(4):443-9. doi:10.1159/000441651. Loeckenhoff, Corinna E., Seth S. Laucks, Alexander D. Port, Judy Tung, Elaine Wethington, and M. Carrington Reid. 2013. “Temporal Horizons in Pain Management: Understanding the Perspectives of Physicians, Physical Therapists, and Their Middle Aged and Older Adult Patients.” The Gerontologist 53:850-60. Blake, Christine E., Elaine Wethington, Tracy J. Farrell, Carole A. Bisogni, and Carol M. Devine. 2011. “Behavioral Contexts, Food Choice Coping Strategies, and Diet Quality of Employed Parents.” Journal of the American Dietetic Association 111:401-407. Sutin, Angelina R., Paul T. Costa, Elaine Wethington, and William W. Eaton. 2010. “Turning Points and Lessons Learned: Stressful Life Events and Personality Trait Development across Middle Adulthood.” Psychology and Aging 25:524-33. Sutin, Angelina R., Paul T. Costa, Elaine Wethington, and William W. Eaton. 2010. “Perceptions of Stressful Life Events as Turning Points Are Associated with Self-Rated Health and Psychological Distress.” Anxiety, Stress, & Coping 23:479-492. Ganzel, Barbara, Pamela Morris, and Elaine Wethington. 2010. “Allostasis and the Human Brain: Integrating Models of Stress from the Social and Life Sciences.” Psychological Review 117:134-174. Sabir, Myra, Elaine Wethington, Risa Breckman, Rhoda Meador, M. Carrington Reid, and Karl Pillemer. 2009. “A Community-Based Participatory Critique of Social Isolation Intervention Research for Community-Dwelling Older Adults.” Journal of Applied Gerontology 28:218-34.